Lenstra, J.K, & Shmoys, D.B. (2016, June). 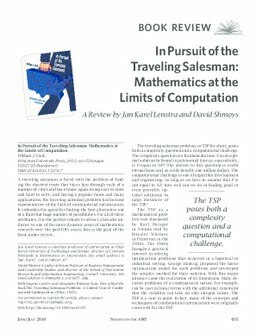 Book review of: In Pursuit of the Traveling Salesman; Mathematics at the Limits of Computation. Notices of the AMS.